Fresh off the plane from a week in beautiful Gran Canaria, I'm writing this on the train back to Sheffield with rain pattering against the window. It's January and the weather in the UK is abysmal, as always. 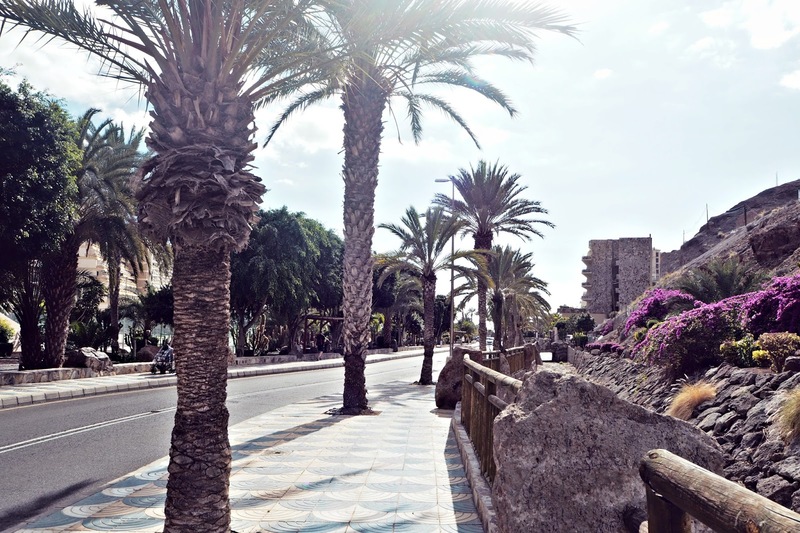 I knew I wanted a quick get away and some winter sun and Gran Canaria was perfect for that. In this post I will summarise my get away and tell you a few things you should definitely do if you're in the area! 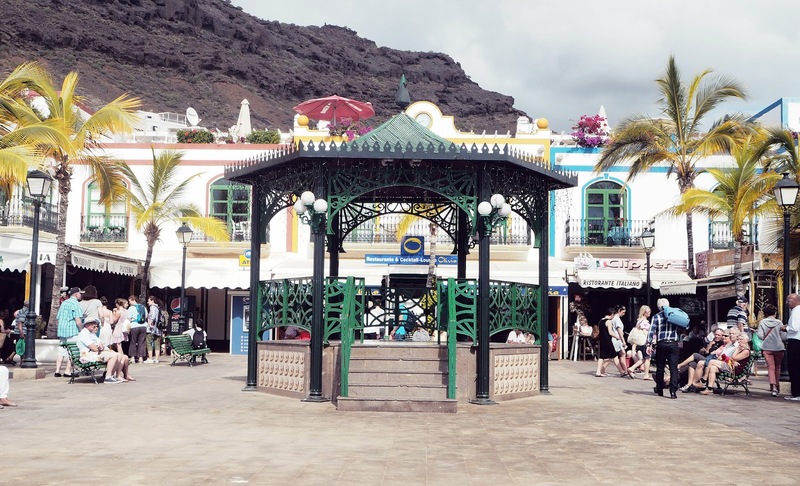 Gran Canaria is the second largest of the Canary Islands and provides a much needed relaxing vacay for young professionals. I did notice that we seemed to be the youngest there with the average age being about 50, I dont know whether this was the area or the time of the year. Either way this meant for a super relaxing, no stress holiday. The island in general is very hilly with winding roads and cliff edges. Not for the faint of heart when you cross a bus on a winding cliff edge! The hotels are stacked high in front of the grey volcanic hills all over looking the beach. 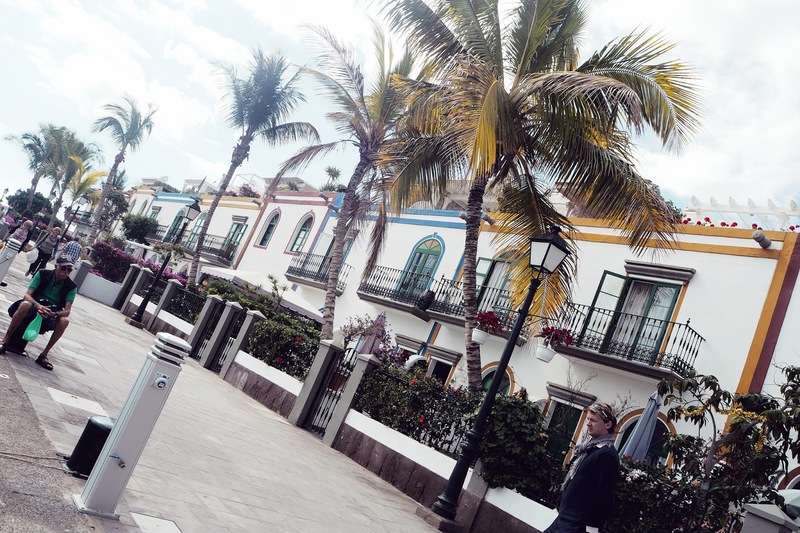 I stayed in Taurito, next to Mogan at the Paradise Taurito Hotel. The food was generally good for an all inclusive. I tend to get bored of the food after a couple of days but this hotel kept it fresh with themed nights such as Italian and Mexican. The breakfast was by far my favourite with freshly cooked omelettes, crepes and churos on selection plus loads more. In the evenings you will find some items consistant throughout the week; fish, pasta, salad, chips etc. with new options added daily. 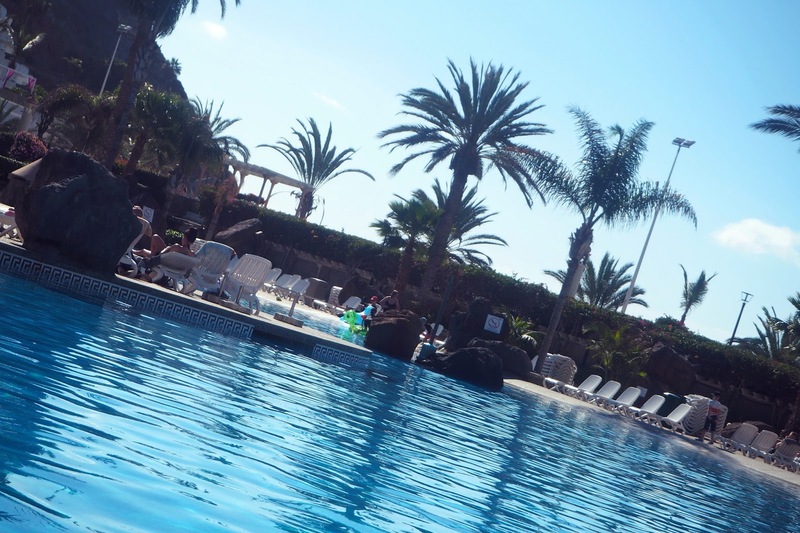 There is also a selection of pools, INCREDIBLE water slides and the beach is just a 5 minute walk away. The beach has a few bars and restaurants and water sport options. It is a grey, volcanic style sand and the sea is generally quite warm. This little village 10 minutes from Tarito hosts a market every Friday, a beautiful harbour with little shops and delicious restaurants - it's definitely worth the 2 Euro bus fare! We also ate here one night at the Casito Mediterraneo. Let me start by saying the food was absolutely stunning. It was without a doubt the nicest sea bass I've EVER had. Presentation on the plate was superb with a mix of veggies, sauces, pumpkin mash and vegetable crisps. I also had a lobster cappuchino for starters which as bizarre as it sounds was delicious - I need to find the recipe! Plus the cocktails.. Jeez the cocktails. My strawberry daiquiri was perfectly balanced with intense fresh juicy strawberry flavour. The only reservation I have about this place is the service. 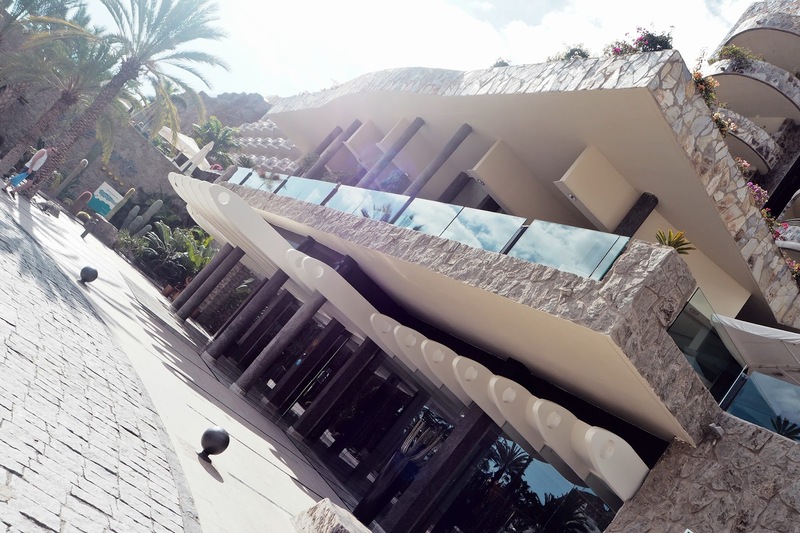 As awful as it is I wasn't too impressed by the service anywhere in Gran Canaria. At this particular restaurant, the German server (who may have also been the owner?) was a little abrupt and took offence if you didn't choose his recommendations. It was also my friends birthday so I asked for a candle in her dessert which never showed up. He also insisted on giving the bill directly to the male of the table while making jokes as I watched him do this several times to different tables which I found a little odd and boarderline offensive. 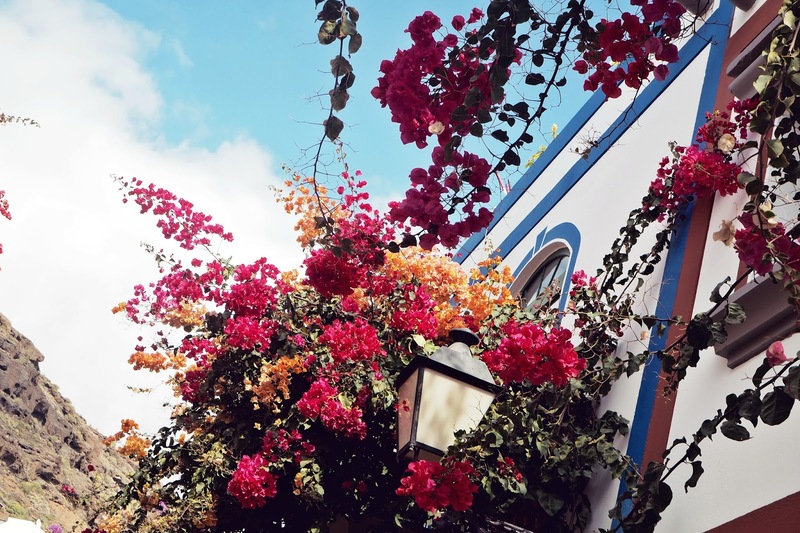 Mogan in general is stunning with wide corridors in between buildings decorated with bright flowers, definitely worth a visit! Another definite must for your trip. This was about 40 minutes away by bus and 15 minutes by taxi. The outdoor cinema is located on a roof top lead to by a red carpet and consists of rows of sofas where you sit and watch the movie on a cinema size screen outdoors. We arrived to our showing to find out the performance had been pushes back by an hour. A little bit odd but we we're hungry anyway so just wandered around and found a lovely restaurant to eat at. We went back an hour later and were taken to our seats, it was a little chilly that evening so they handed out lots of blankets and duvets for you to warm up under. They also provide you with a light to press if you want to order any drinks or snacks. There were cocktails, pizza, icecream, coffee etc. the menu had a good selection.I went for a baileys hot chocolate and some popcorn. Also did I mention the film selection? I was worried it would be films from 10 years ago but NOPE. We watched La La Land and Passengers was the film before ours, two new releases! The boat is a day trip of around 5 hours and holds a maximum of 30 people. I would say ours has around 20 people which was great for us as it meant there was so much room on the boat to just walk around, relax and take photos. 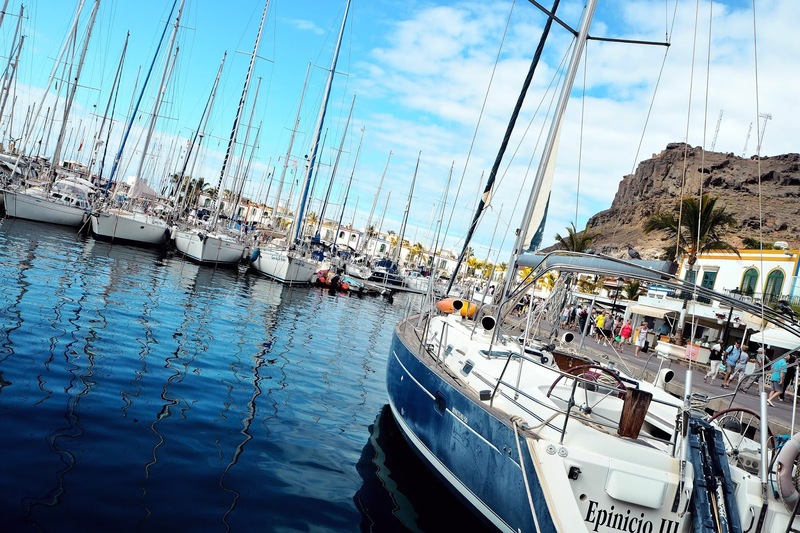 The boat supplies free soft drinks, beer and sangria as well as a meal of potatoes, meat balls, salad and a selection of sauces. Included in the trip is a 10 minute speedboat ride and a banana boat. There was also the option to do more water sports at a discounted rate. 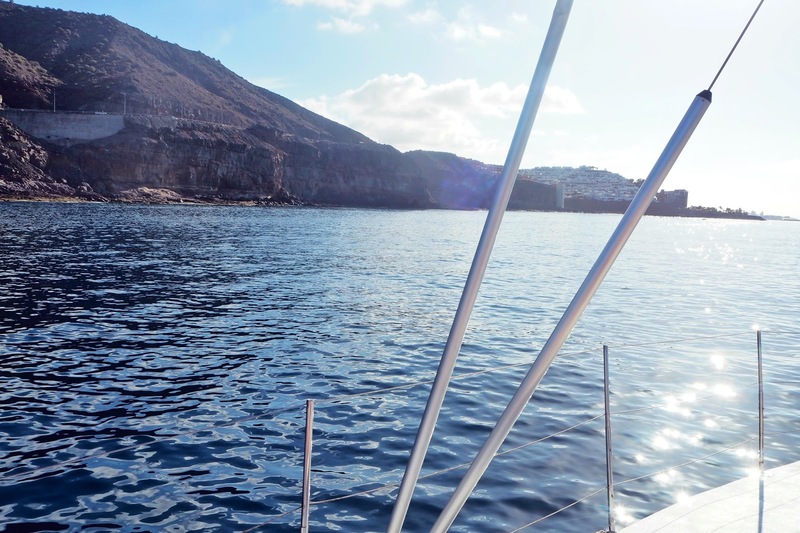 The boat sails out and then anchors up for several hours allowing you to do some snorkelling or if that's not your thing you can just sun bathe on the boat with music playing in the background. Plus on the way home we saw a pod of dolphins so that's always a bonus! I loved this little break and would recommend a week to do everything you need. I hope you enjoyed this blog post. Please check out the travel diary video I made below and please let me know where I should go next!